Increased participation in world trade is conventionally seen as the key to economic growth and development. 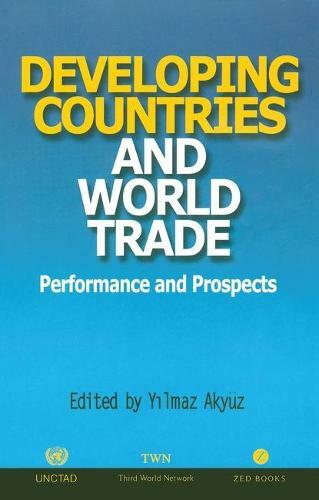 Yet, as this book shows through its detailed examination of world trade patterns over the last 20 years, while developing country exports have grown faster than the world average, the rich countries have meanwhile increased their share in world manufacturing valued added. This poses the vitally important policy challenge of what poor countries, confronted by the vigorous expansion of their foreign trade but no comparable rise in income, should do. Primary commodity prices have collapsed in value, and there is a real danger that the terms of trade for their exports of manufactured goods may do the same. The key challenge confronting poor countries today is not more trade liberalization on their part, but how to improve the terms of their participation in world trade and to increase the still limited and unstable benefits they derive from it.